The second film in my Roger Corman double-feature, Carnosaur is a bit harder to like. Roger Corman’s answer to Jurassic Park has not aged very well. As a kid, I still remember being whipped into a frenzy by Jurassic Park. I have had a lifelong love for all things dinosaur and it sounded like an amazing movie. I also remember leafing through an issue of Fangoria and reading about a movie called Carnosaur, a violent counterpart to Jurassic Park. My pre-teen mind raced at the awesomeness of what I was reading. It would be years before I would finally see Carnosaur, but comparing it to Jurassic Park is apt but a bit unfair. Carnosaur is, on many levels, similar to Jurassic Park in that it deals with genetic experiments and dinosaurs. Carnosaur uses the genetic part for more devious purposes instead of the dream of a man. The dinosaur models are pretty bad, but considering the budget of the film (about a million dollars) they are acceptable. If I had to explain Carnosaur to someone in one sentence I would say “it’s like if Jurassic Park and Tremors had a low budget spin-off”. 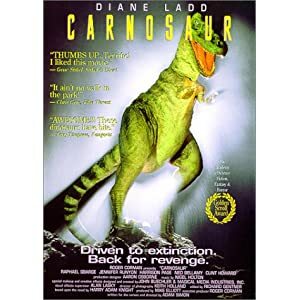 If it seems unfair to compare Carnosaur to Jurassic Park, I would agree except for one glaring reason; Roger Corman made this movie simply because of Jurassic Park. It’s not a cash-in exactly, but it does blatantly ride the coattails of awesome dinosaur movies. After watching a Corman film with talent from the 60s and watching this from the 90s, my clear favorite is The Terror. Carnosaur is only 83 minutes long but it is a long 83 minutes. The shoestring budget in the 60s clearly went further than it did here. Carnosaur is not a terrible movie, but it’s close. It has some likeable elements but the end result is barely worth watching. Even if you know you are in store for a bad movie, it is almost bad to the point of being good. Roger Corman’s mark on cinema history is evident. The man has produced over 400 (!) films (he didn’t actually direct Carnosaur) over the course of 60 years. His films are not great, but many of them are fun. I give it 2 hand puppet dinosaurs out of 5. The Terror was the first movie I watched in my Roger Corman double-feature. If I called it an obvious Roger Corman flick, would everyone know what to expect? The Terror is an obvious Roger Corman movie if you’re familiar with his work. Made on a shoestring budget, shot incredibly quickly, improvised scenes, and violence. What sets this film apart from the other billion movies Corman produced is actually more interesting than the film itself. The Terror was almost entirely improvised, and not just the dialogue. Corman let that camera run for various takes without cuts with the intention to use that footage later. Apparently all he needed was the basic plot outline. 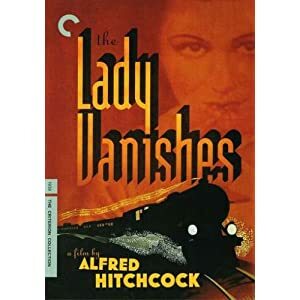 Some of the sets were reused from another Corman picture and a Vincent Price film. The Terror was also shot by at least six different directors: Corman himself, Francis Ford Coppola (yes, really), Dennis Jakob, Monte Hellman, Jack Hill, and Jack Nicholson. Aside from the interesting background of the film, there is not much to recommend of the actual film itself. The acting is actually quite good even if the dialog is kind of weird. The plot is disjointed and confusing but it kept me interested in watching, which is something worth noting. 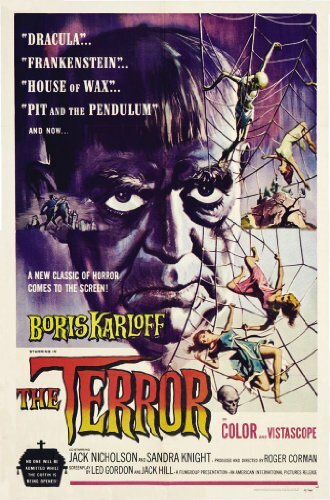 I would definitely recommend The Terror for fans of Corman’s work and horror films. I give it 3 young Nicholsons out of 5. 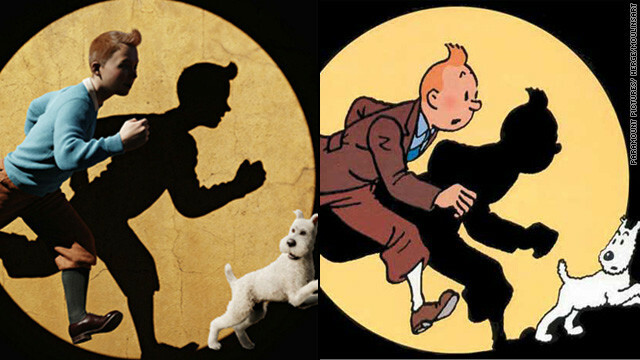 The Adventures of Tintin should be a fantastic movie considering the talent involved. A film directed by Steven Spielberg and Peter Jackson should be a smash hit, but Tintin falls short. It’s worth pointing out that audiences in the US are most likely unfamiliar with the character of Tintin, despite the long-running series’ popularity elsewhere. There isn’t a high wall of accessibility to the film, but some familiarity or nostalgia would probably help make it more enjoyable. 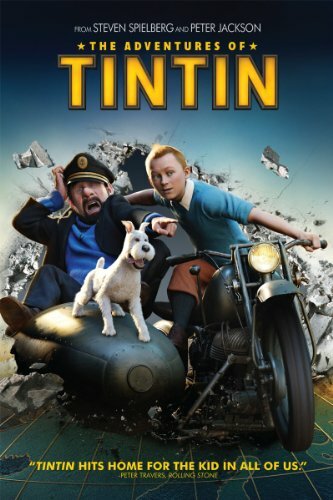 The film starts with Tintin, a reporter, and his dog, Snowy, in a market where he buys a model ship. He is immediately warned about the ship and then approached by a man willing to buy it. Later that evening the ship is stolen and Tintin goes on a quest to retrieve the model but also to uncover the mystery of why the ship is so important. One thing about The Adventures of Tintin that I simply couldn’t shake is how weird the characters look. The art direction is a very odd mix of incredible realism and cartoonish. The character models are totally human from the neck down but their faces are totally grotesque in most cases. 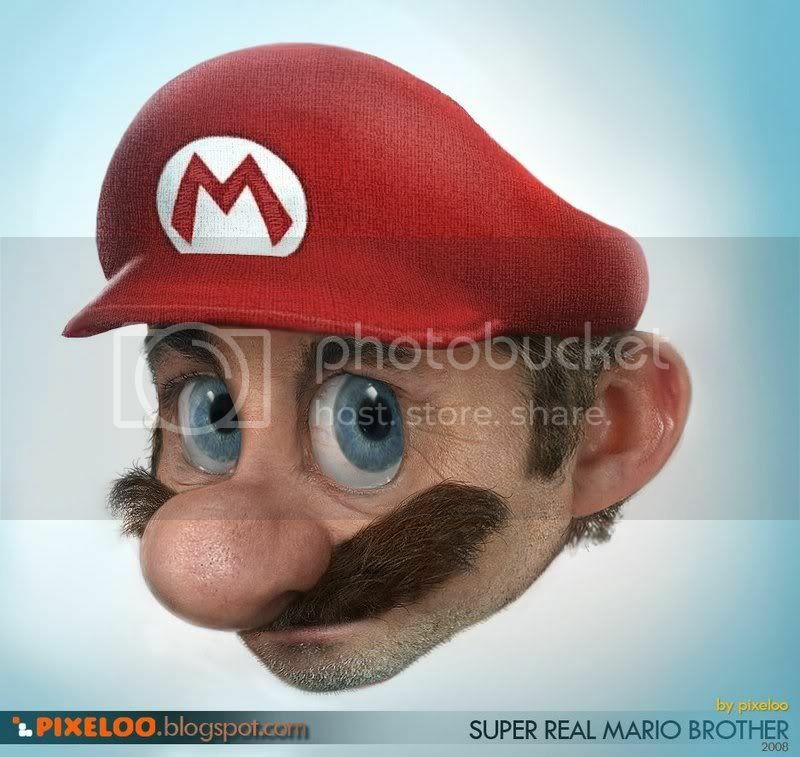 It’s a decision to make them look like realistic versions of their cartoon counterparts and it reminded me of realistic Mario. Everything inanimate looks absolutely stunning, however. In fact, the computer generated world of Adventures of Tintin is incredible. The action is constant, but also oddly cartoonish at times. The overall package is something of a mixed bag where I’m not sure how things could have been better since this should be an incredible movie! Other than the weird character models I don’t have any serious specific complaints other than I was kind of bored, in spite of all the action on screen. The Adventures of Tintin is almost like eating a bunch of donuts and ice cream for breakfast. It sounds delicious in theory but ultimately leaves you wanting something less tasty and more filling. The movie is not bad, but it’s also kind of uninteresting which is quite a feat considering the talent and eye candy involved. I give it 3 cgi/cartoon comparisons out of 5. Hoop Dreams is a documentary I was not expecting to be interested in. Like all good documentaries, however, once I was hooked I had to see things through until the end. Hoops Dreams is a film about two Chicago high school basketball players with aspirations of making it big in the NBA. The documentary film crew follows the students lives all through high school and their first year of college, as well as the lives of their immediate families. We see all the highs and lows that come with the dreams of being a superstar and every stumble the teens take we can’t help but feel for them. We want them to succeed. We want them make it big. At the very least, we want them to rise above what society expects of them; a life of gangs and drugs. A word of warning, the film is long clocking in at just shy of three hours. I had to take a few breaks while watching it just to keep my interest from waning. That isn’t to say the material is dull or boring, but it can be. 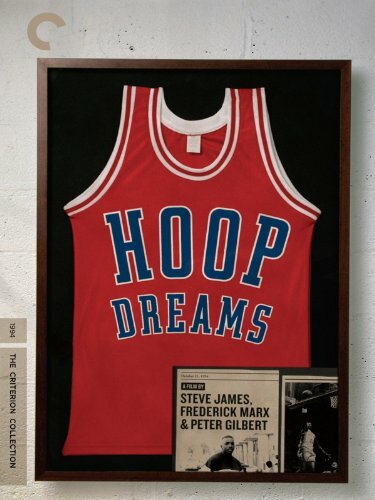 I would be very interested to see the special features that Criterion packed into Hoop Dreams since it has been close to 20 years since the film came out. Since I watched this on Netflix Instant Watch, the special features are obviously unavailable. The two teens are adults now and I truly wonder what became of them. Watching Hoop Dreams with Moneyball still fresh in my mind was also interesting since we see the same sort of tactics in recruiting. Knowing what Chicago is like puts the film in a fresh light since being a poor black teen in the city must be close to impossible to actually get out of. While the careers of the teens show promise, will the life of a basketball player only just be a dream? There is a reason Hoop Dreams has been called the best documentary of all time. I give it 5 state champion victories out of 5. I have yet to see the remake of The Manchurian Candidate, which I have heard good things about. 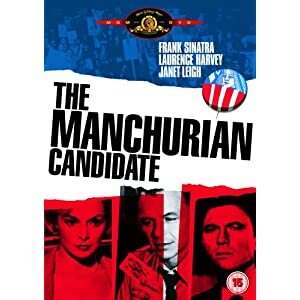 If it’s even half as good as the original Manchurian Candidate it is probably an amazing film. The Manchurian Candidate is a film that depends on cold war hysterics over communism. Sen. Joseph McCarthy likely played a large role in creating the story, likely unknowingly. 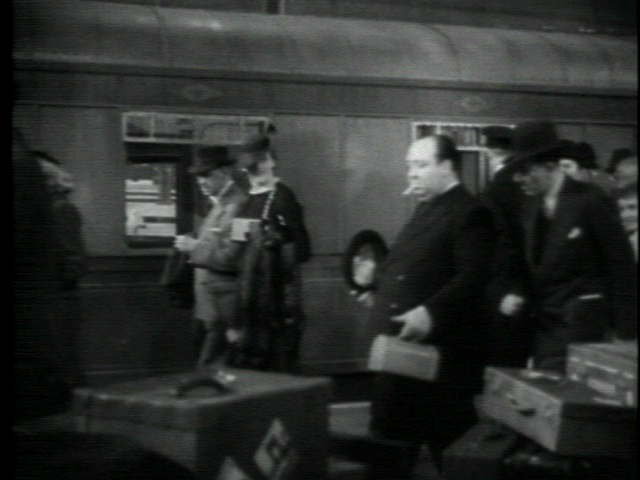 The plot surrounds a group of POW soldiers returning from Korea. One is awarded the esteemed medal of honor (Laurence Harvey) and several others (one of which is Frank Sinatra) have the same recurring nightmare. The nightmare is about them being brainwashed by communists. We soon learn that the dream was reality and the soldier played by Harvey has been brainwashed to become an assassin. Other than the communist angle, it’s amazing how little politics have truly changed in 50 years but I would hesitate to call this a political film. Without knowing anything about the Manchurian Candidate, I had always assumed it was a political film and was turned off by that. It wasn’t until I was reading a collection of noir short stories that The Manchurian Candidate came up and my interest piqued. A noir? Count me in. I am interested in seeing the remake starring Denzel Washington in place of Frank Sinatra. I am curious how much of the communist witch-hunt is there or if that aspect has been more modernized. Still, The Manchurian Candidate has aged well and is highly recommended. I give it 4 queen of diamonds out of 5. Moneyball is a movie I had little to no interest in upon hearing about it and I put off watching it. After the Academy Awards I felt like I might be missing out if I don’t watch it and I would have been right. Moneyball is a film about baseball but it’s not what I would really consider a sports movie. When I think of sports movies I think of movies like Remember the Titans where the formula is: root for the underdog and even if they don’t win they are better because of it. Moneyball is not that film. I didn’t realize the film is based on true events, or rather I didn’t realize the story in the film actually happened. I thought it was a totally fictionalized story based on the Oakland A’s baseball team rather than a fictionalized reality. The plot of the film centers around Billy Beane (Brad Pitt) who is the general manager for the Oakland A’s, a team with one of the smallest budgets in Major League Baseball. He travels to the Cleveland Indians where he meets young Peter Brand (Jonah Hill) who instantly impresses him with his take on managing baseball teams. They use a statistical formula to completely alter the way they get players and ruffle the feathers of all the old-timers along the way. In case you don’t know the history behind Moneyball, I won’t spoil the details but I will say that it makes for a very interesting film. Deep understanding of the sport of baseball is not required as the mechanics are largely not touched on. As long as you know what first base is you should be able to grasp the majority of what’s being said. 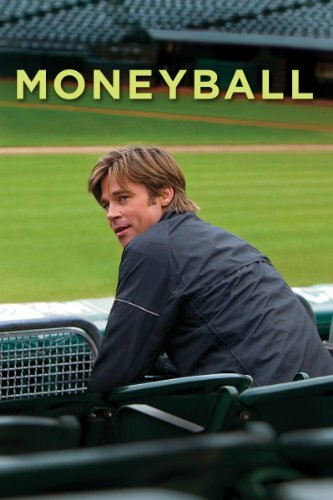 As far as the Academy Awards are concerned, I’m not sure if Moneyball really deserves all the accolades. Yes, it’s a very good movie but I wasn’t blown away by anything. If you are on the fence about seeing Moneyball, I will say “give it a shot”. The worst you can do is waste two hours of your time but if you’re like me you will be very entertained. I give it Sabermetrics out of 5.